Are you a photographer who adores travelling and taking magnificent photos? Do you understand that photo editing helps keep photos in perfect condition and makes them more attractive? 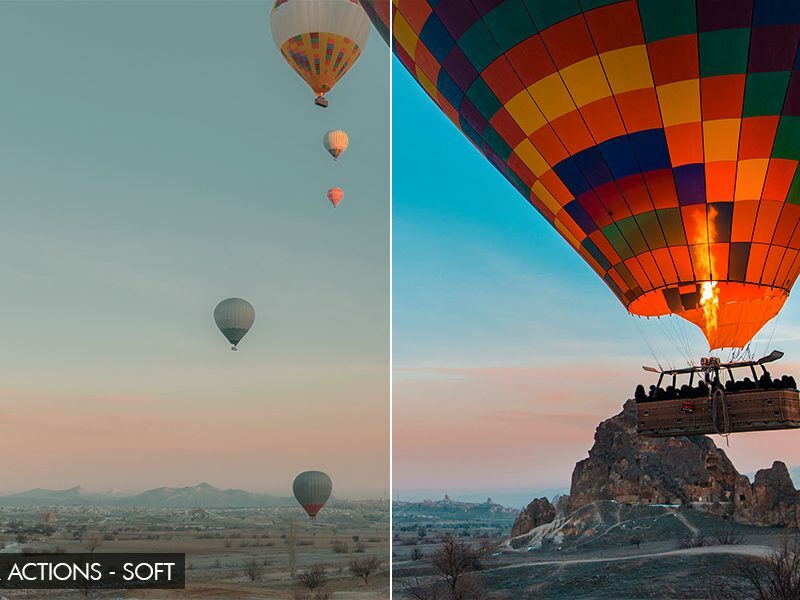 If the answers are “yes”, the following travel photo editing tips will help you make your photos many times better. Moreover, we have a free bonus for you – 5 free Photoshop action bundles for travel photographs to add the “wow” effect in several clicks! You should concentrate on the process of photographing and not be distracted by other processes (importing files, image editing and posting). Move a photo in Lightroom catalog at the end of each day, select the option to generate Smart Previews. This will let you have access to all your travel photographs through Adobe LR Mobile on your iPad. You may cull images on the road if it is a long flight home. You need to select suitable photos for further image editing and portrait retouching. Most photographers make the mistake of starting editing without finishing the selection. 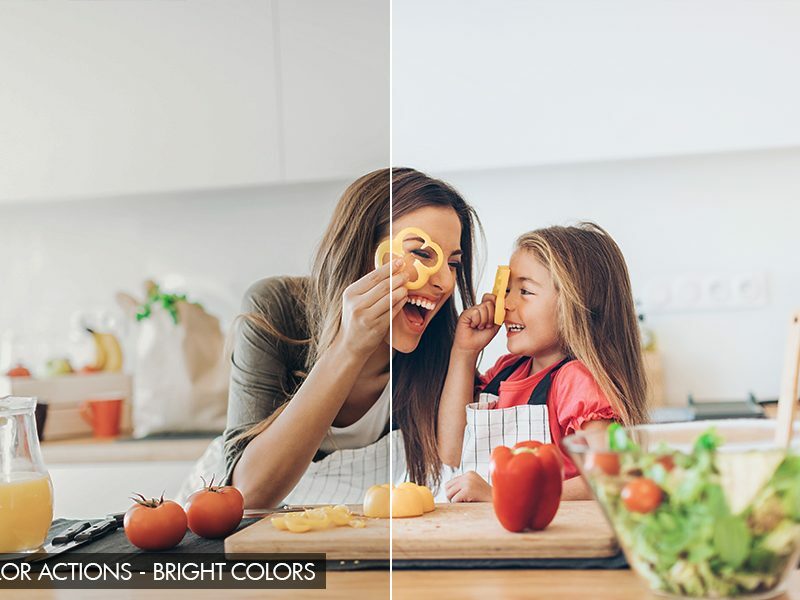 Delete blurred or identical photos to reduce the time you will spend on color correction. 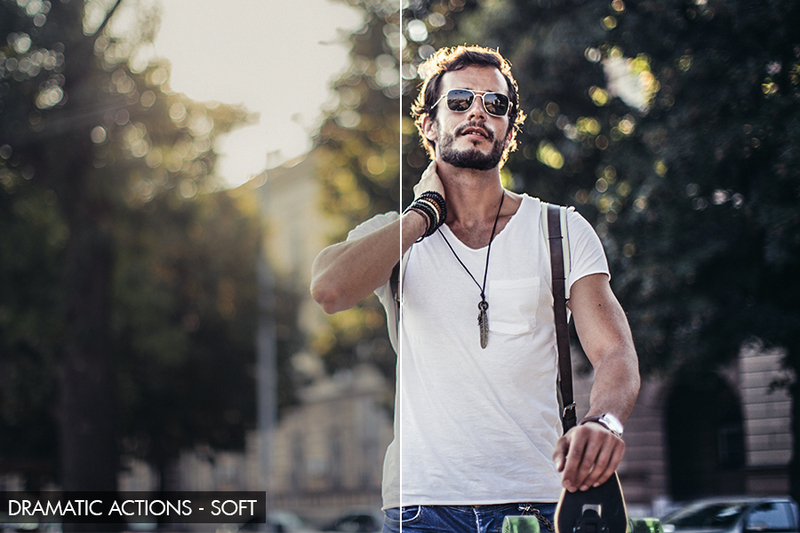 Use the crop tool and change the size of your image, its aspect ratio. You’re sorting through the thousands of travel images you took. Do you realize that they need a little extra photo retouching to really stand out in a unique way? This is where you need Photoshop actions. 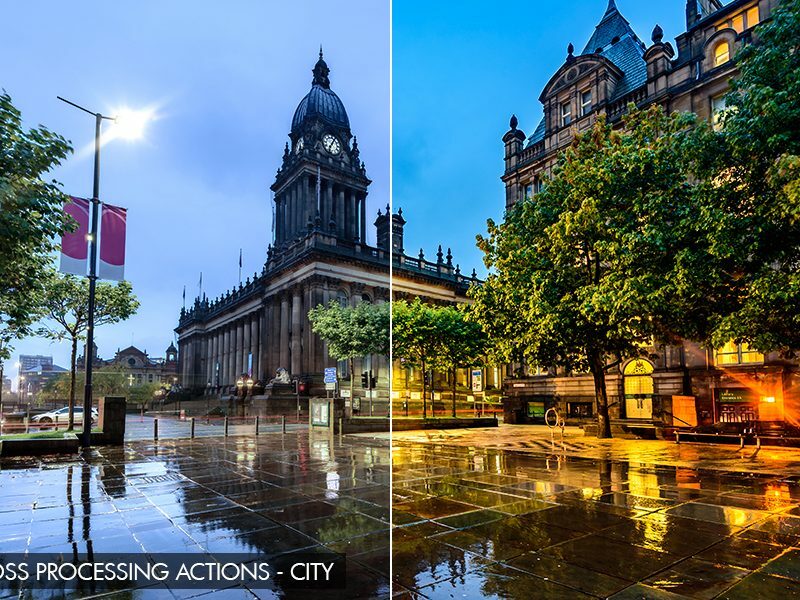 You can use automatic Lightroom presets or Photoshop actions, which will save a lot of time and make photos more attractive and interesting by changing certain color settings. You can buy them, download free or even create on your own and then apply to all photos to get an equal photo effect. Where to Download Free Photoshop Actions? 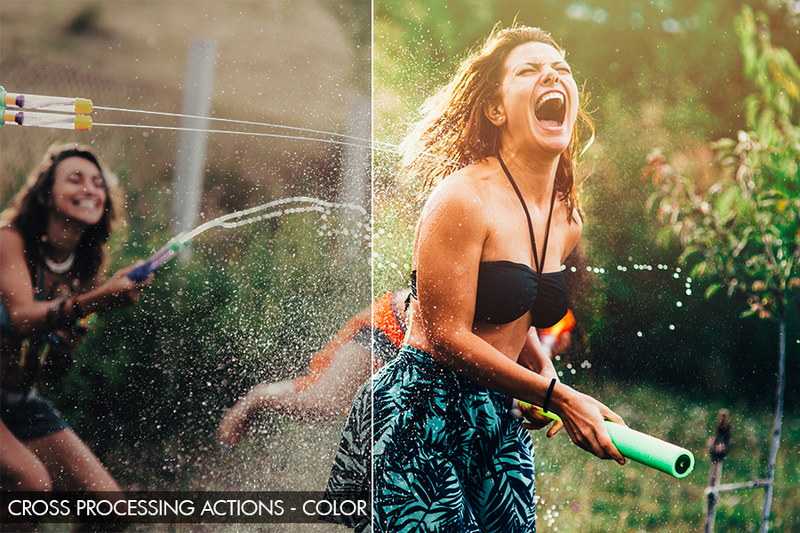 Using this set of professional PS actions, any traveler will easily make a professional color correction. This is the best variant if you took many travel photos and want them all to look good fast without wasting days adjusting white balance, correction temperature, shadows or saturation. Make your travel portraits pop and shine in several clicks. 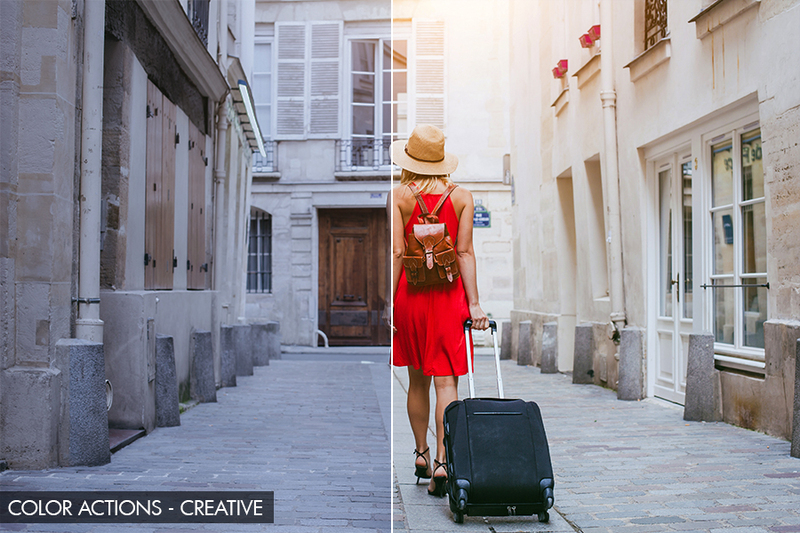 These bright, stylish, modern Photoshop plug-ins are available for the travel photographers of all levels. Such effects help make your Instagram images and stories vivid, rich and attractive. Add a green shadow, more sunlight, make photo pinky or vintage, add a natural vignetting or make images warm to impress your followers with stunning photos from your travel. Do you want to get photos in the retro or dramatic style? 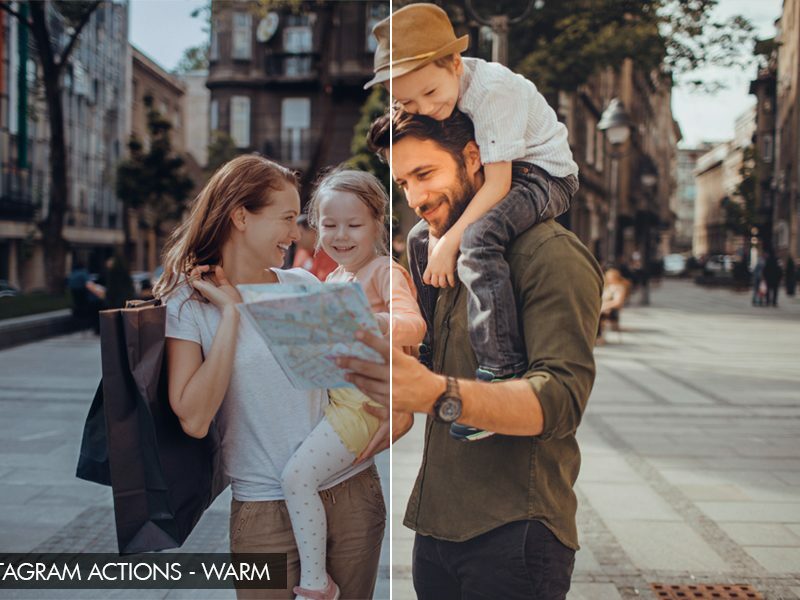 If you have beautiful street photos, this is the best Photoshop actions bundle that will give your photographs a dramatically downbeat look. 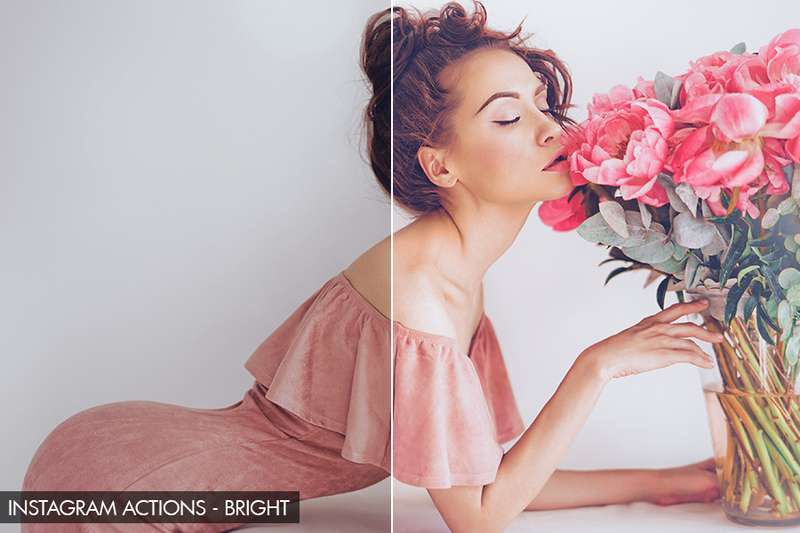 You’ll change the style, mood, and even the color palette of your picture. This bundle is perfect got nature photos with magnificent backgrounds. 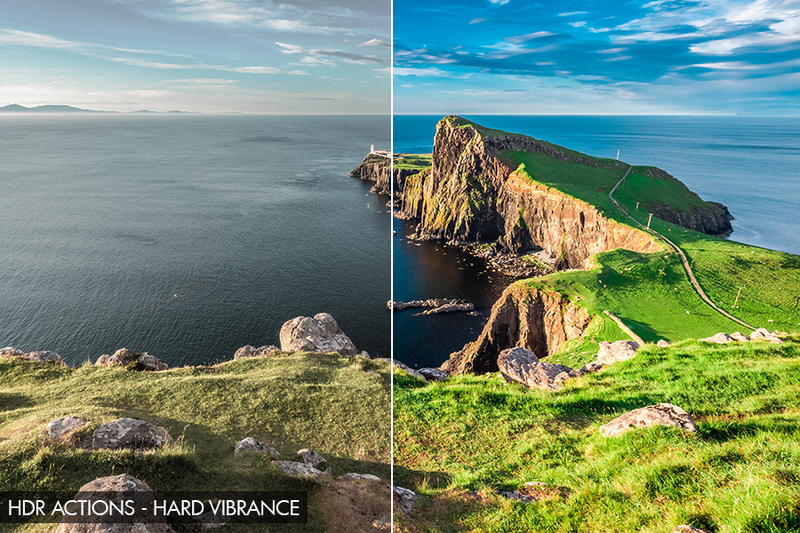 If you want to make grass or sky brighter and sharper, these free Photoshop actions are what you need. 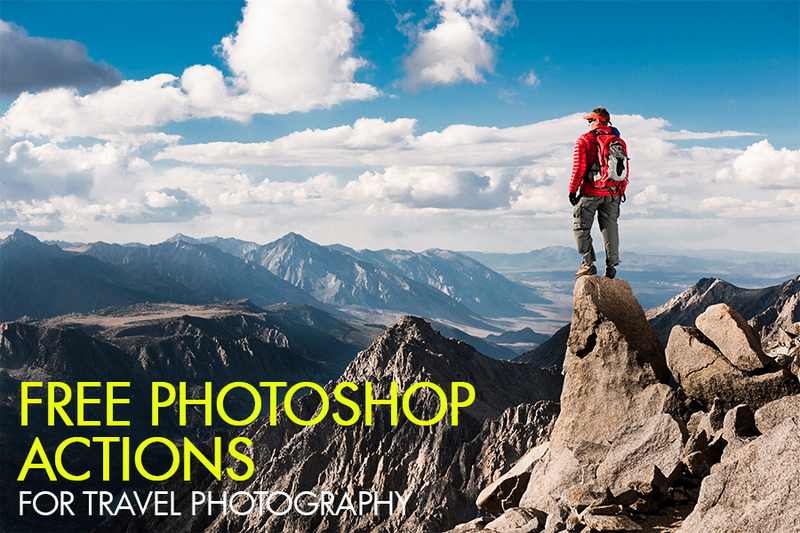 With these Photoshop actions you will make the mountains, plants and structures more clear and saturated. The main effect these Photoshop actions give is a Polaroid look. 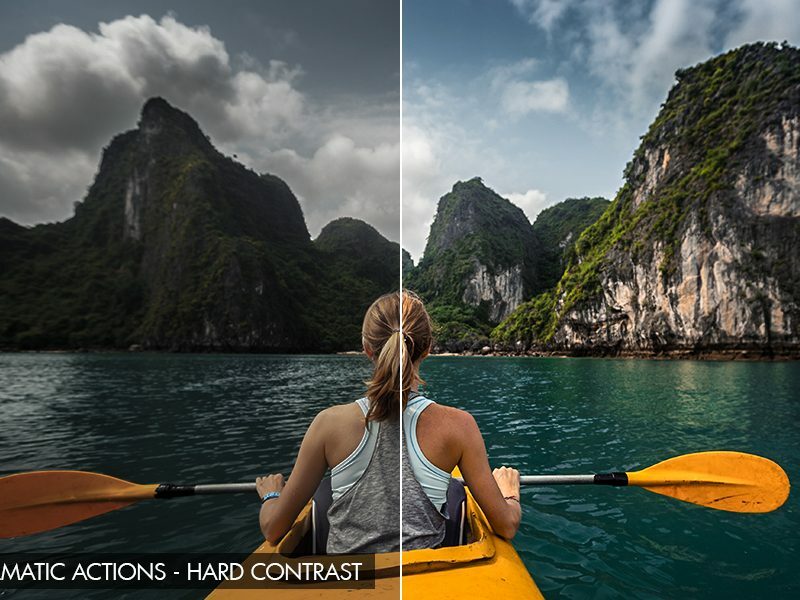 Using them you can change the color and even the mood of your travel photos. As a rule, these actions are used for adding light, sun and good mood. Highly recommended to use for outdoor photos taken at the Golden Hour. Free Photoshop actions allow you to save a lot of time and avoid delays in your workflow. In addition, this is a great opportunity to experiment with new styles, colors and tones. Choose a set that fits your type of photos and receive a free Photoshop bundle on your email in several minutes.